The influential users in social networks contain huge commercial value and social value, and have always been concerned by researchers. 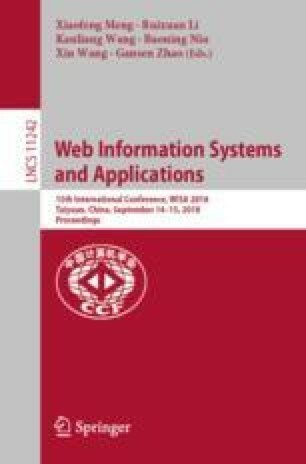 For the existing research work, there is a disadvantages in the influence of user node attributes and interest topic between users on the contribution of user influence, ignoring the oldness of the relationship between users. The paper analyzed the user topic similarity from the user’s interest similarity and tag similarity, divided the entire time interval of the user interaction relationship into a time window, and selects the four status attributes of the user’s fans number, followers number, original blog number, and number of levels. The influence of user status attribute value and user topic similarity on the contribution degree of three kinds of behavior influence on users’ forwarding, comment and mention was analyzed, and the influence of users was calculated, and a user influence evaluation method based on topic and node attributes was proposed for Weibo users. Experimenting by crawling the real dataset of Sina Weibo, compared with the typical influence analysis methods WBRank, TwitterRank, and TURank, this method was superior to the other three algorithms in terms of accuracy and recall rate.